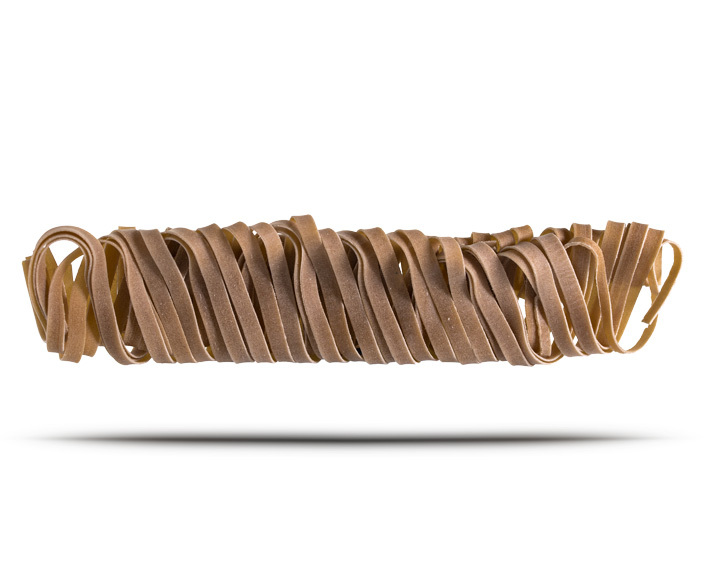 Our Tagliatelle alle Castagne is made in the traditional Ligurian way of rolling and folding the dough, aerating and developing the gluten, to produce a pasta that takes on a ‘fresh pasta like’ consistency when cooked. 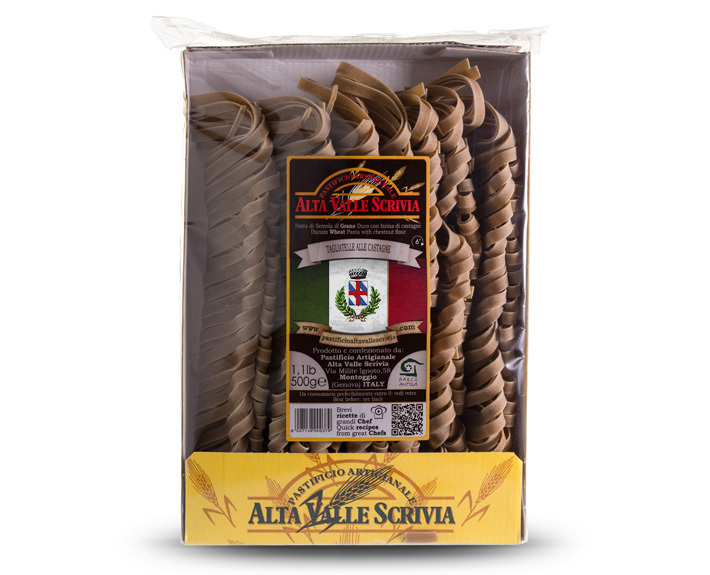 This unique method plus its characteristic Chestnut taste make it an ideal pasta to be served with luxurious cream sauces, truffles or piquant cheese. See our serving suggestions for more ideas. Chestnut Pasta is the perfect luxury, comfort food; warming the body and soul and letting you experience with each bite a taste of our traditions; and a little bit of the joys of winter and the great outdoors.